Morning enjoy a motor launch cruise on the placid waters of Lake Pichola. The beautiful Lake Pichola was enlarged by Maharana Udai Singh after he founded the city. The city palace extends a considerable distance along the east bank of the lake. From the boat you will be able to view the city of Udaipur as it rises majestically above the lake in the middle of the Rajasthan desert. 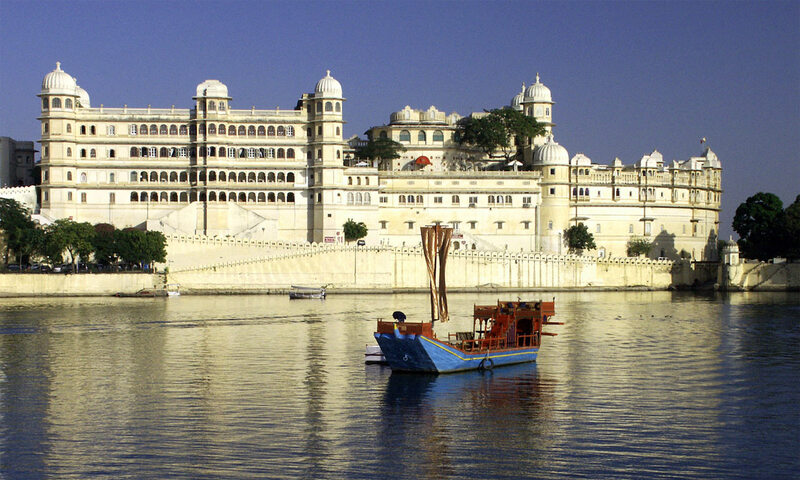 You can also visit the Jag Mandir Palace – which is a lovely island palace in the middle of the lake. Morning visit the world famous Dilwara Jain Temple, Nakki Lake and Brahmin Kumari Ashram. Dilwara Temple is a group of remarkable Jain temples. Among the finest examples of these are two temples in which the art of carving marble has reached unsurpassed heights. The older of the temples is the 'Vimal Vasahi', built in 1031 and dedicated to the first tirthankar, Adinath. In the front of the temple stands the 'House of Elephants', with figures of elephants marching in procession to the temple entrance. The later built 'Tejpal Temple' is dedicated to Neminath, the 22nd tirthankar, and was built in 1230 by the brothers Tejpal and Vastupal. The carving is so fine that, in places, the marble becomes almost transparent. Nakki Lake is virtually located in the heart of Mount Abu and is a big attraction with tourists. The lake takes its name from the legend that it was scooped out by a god, using only his nails, or nakh. While takeing a stroll along the lake, look for the strange rock formations. On the lake there is a dilapidated concrete boat-shaped snack bar. Stay overnight in Mount Abu. Morning drive from Mount Abu to Udaipur Airport or Railway station for onward destinations. Tips, Laundry and other items of a personal nature.